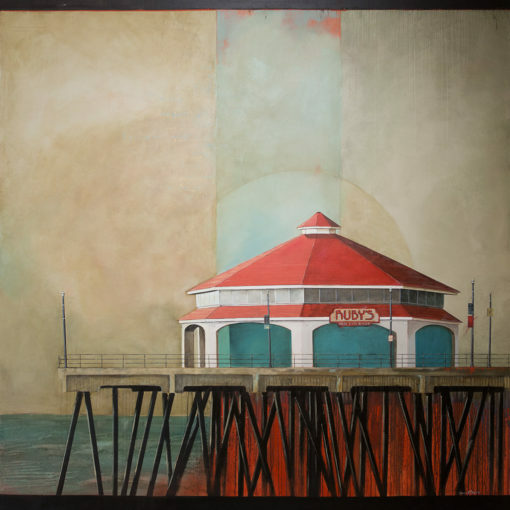 A post modern interpretation of this historic Pier and its charming buildings, Donna has brought a bit of mystery to this social pier. The Huntington Beach Pier is a municipal pier located in Huntington Beach, California. It is located at the end of Main Street, where the street continues past Pacific Coast Highway onto the beach and becomes the pier. At 1,850 feet (560 m) in length, it is one of the longest public piers on the West Coast. (The longest is Oceanside Pier at 1,942 feet (592 m)). The pier is 100 feet (30 m) above sea level. 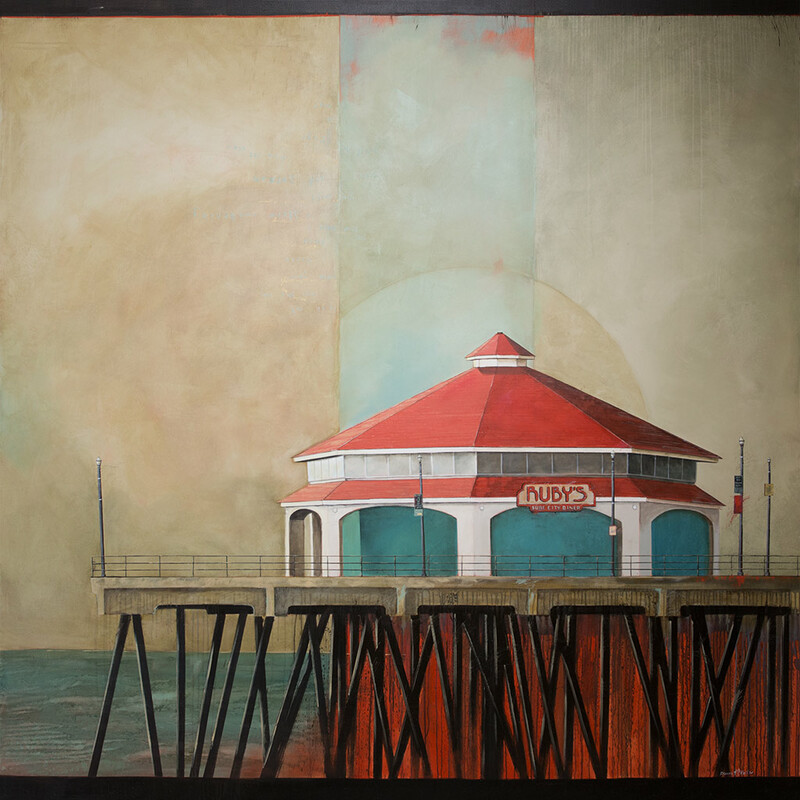 The pier is on the California Register of Historical Resources. One of the main landmarks of Huntington Beach, also known as “Surf City, USA”, the pier is the center of the city’s prominent beach culture. A popular meeting place for surfers, the ocean waves here are enhanced by a natural effect caused by the edge-diffraction of open ocean swells around Catalina Island, creating consistent surf year-round.